Dot achieves 40 years service. Our loved crossing patrol attendant, Dorothy Hawthorne has reached a milestone in helping children and adults cross roads safely to get to and from School. Since 1976 she has put up with all kinds of weather to ensure generations of children cross safely. 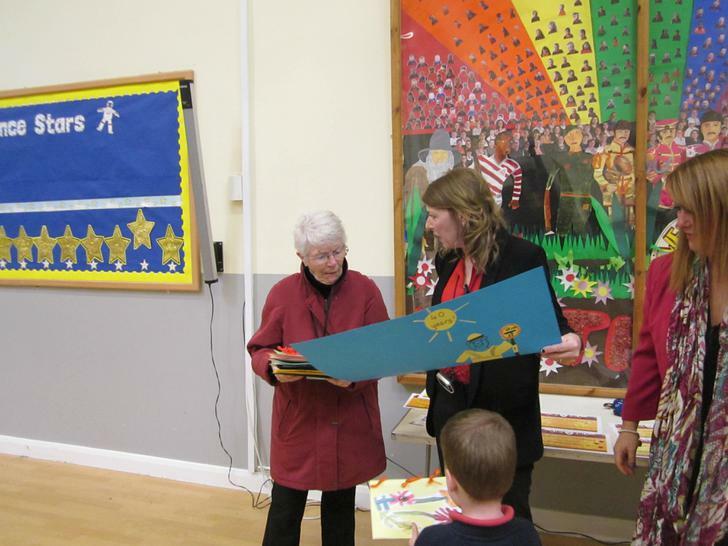 Each class made congratulation cards and presented them to Dorothy in the Friday morning assembly. The children were rewarded with a kiss from Dot.